Have you been touched with love, where you can feel your lover’s heart in their hands? As a woman have you been touched by a man without wanting, where the fullness of his masculinity holds you in way that allows you to open yourself? As a man have you been touched by a woman in way that allows you to drop your armour and surrender to emotion? Have you been touched with hands that hold each part of your body, to know it, to know you? Have you been touched with tenderness, so slowly, that allows the pain deep inside of you to release through your body? Have you been touched with presence, an act of such connection that a prayer is created in the sacred moment? Have you been touched with a gift of pleasure, where the fire of ecstacy fills your body, your being? 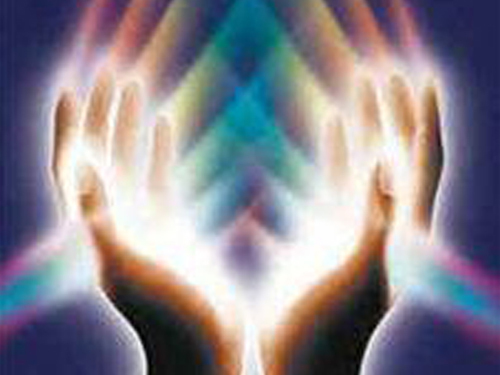 Have you been touched by a mystic, where your body is the portal to the energy of life itself? Touch is one of the most vital elements of life. It’s a communication, a conversation. Our touch says things far beyond our words. It’s healing, it’s comforting, it’s nurturing. It’s a home, a sanctuary. It’s an expression of love and a path of amazing pleasure. It’s a language of intimacy and love, a connection that goes so deeply within us. It’s an energy that we feel, a knowing of another in ways our words and mind can never express. Touch is an art, a life long journey into ourselves, into the world of the sensual. It’s an exploration, an endless discovery of sensation, energy, the body, emotion. Layers open to show us more and yet more. Possibilities emerge in way that keeps us seeing there are no limits on this, the most human of expressions. Learning to touch is an art. It becomes a space of self-exploration as it shows me what blocks me going deeper with you. It shows me where in my body I hold my pain. It shows me what I’ve covered in layers of defense. It shows me what I’ve disconnected from myself, what I’ve been disconnected from. It shows me where the patterns of my past sit in tension, a tightness that holds me trapped in ways of being, ways of feeling that are rooted in hurt. It shows me where I have closed myself, to myself, to you, to pleasure, to love. It relaxes, releases, soothes, eases. It brings light to the dark places within. It becomes an expression of the heart. It allows me to feel, to connect, reconnect, to become whole. And the pleasure of touch, oh, the pleasure. A lifelong journey of delight. An endless discovery of every element, every aspect, every curve and fold and angle of this beautiful body. And in this pleasure we feel beautiful.